Are you more of a visual learner? Have you ever wanted to build your own touchscreen tablet but never knew where to begin? Now's your chance! With the award-winning Kano Computer Kit Touch and storybook, you’ll not only build your own powerful computer, you’ll understand how you brought it to life! No technical wizardry is required, and the Kano Book -- a step-by-step storybook -- is provided to help guide you. Its easy-to-use visual coding environment helps anyone make and play with it. Kano is used in hundreds of schools across the US, UK, EU, Africa, and Asia. Check out Kano's educators' page! 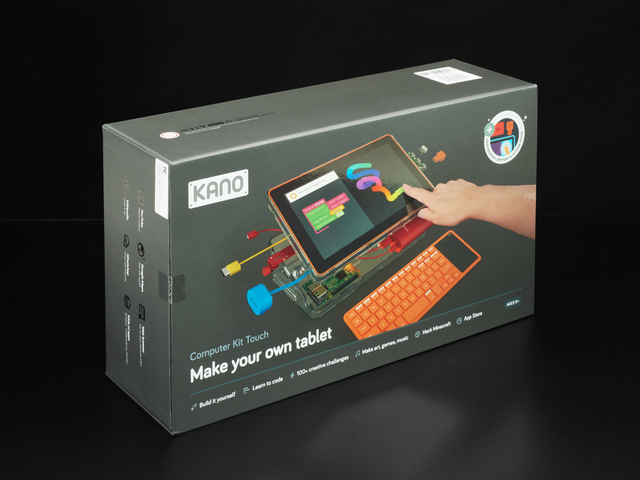 The Kano Computer Kit Touch also comes with Kano World, a global community that welcomes and inspires folks of all skill levels. Some children between 6-8 years old may require supervision when reading the Kano Book and assembling the Computer Kit components. Children 8 years and older are proven to be quite self sufficient on their Kano!